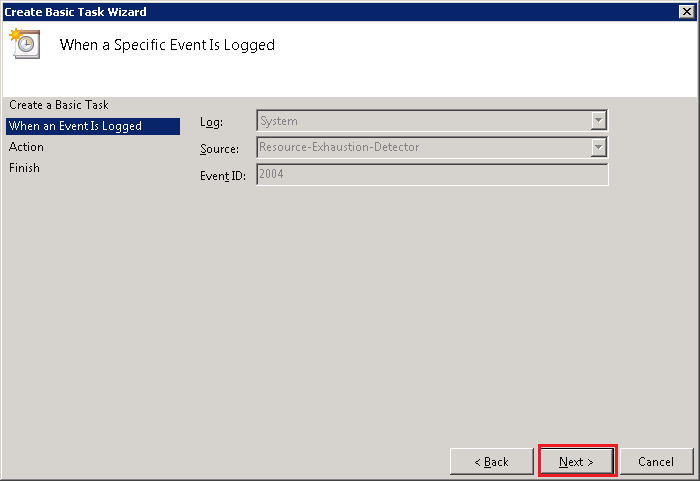 In this article, I am going to explain about Event ID 2004 Resource Exhaustion Diagnosis Events and how to configure or enable alert mail for this event. 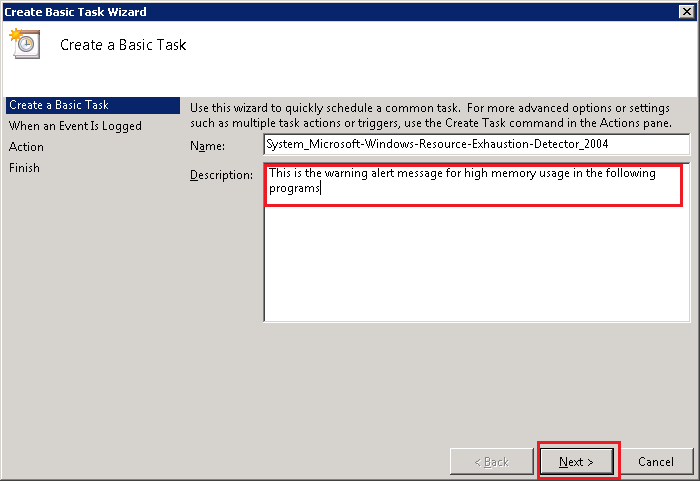 The Event ID 2004 falls under the category of Resource Exhaustion Detector component of Windows Resource Exhaustion Detection and Resolution (RADAR), it identifies the top three memory consuming programs and warns you when the system commit charge reaches a critical level. Keywords:      Events related to exhaustion of system commit limit (virtual memory). Windows successfully diagnosed a low virtual memory condition. The following programs consumed the most virtual memory: sqlservr.exe (1956) consumed 729833472 bytes, devenv.exe (3896) consumed 404164608 bytes, and w3wp.exe (2516) consumed 240144384 bytes. 1. 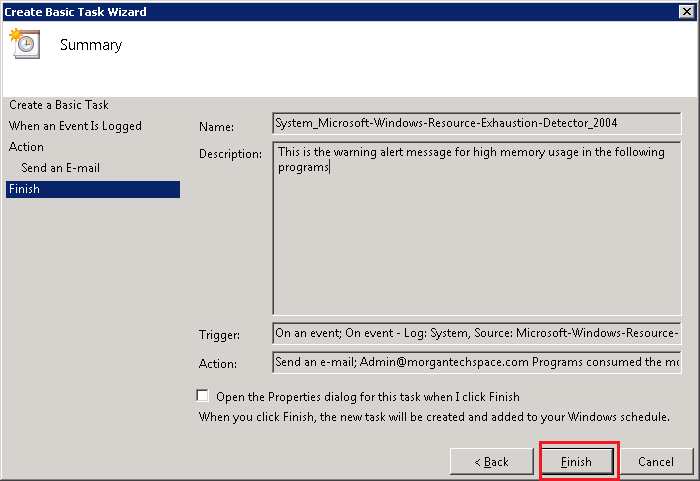 Open the Event Viewer MMC by running the command eventvwr.msc. 3. Search and and select the Event 2004, right-click on the event entry and click Attach Task To This Event..
5. 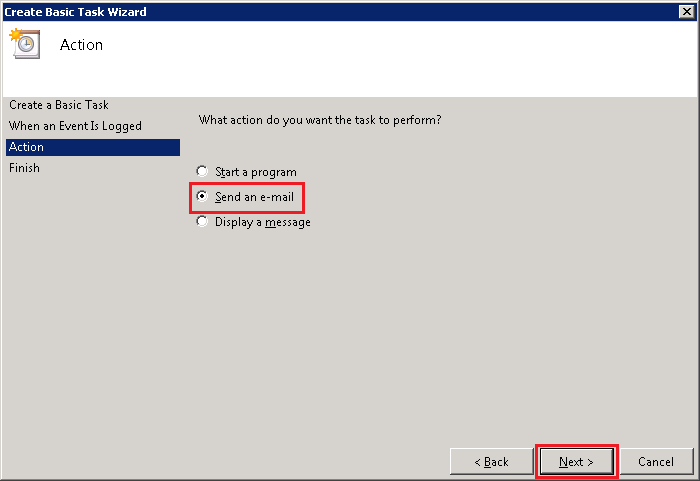 Select Send an e-mail option and click Next. 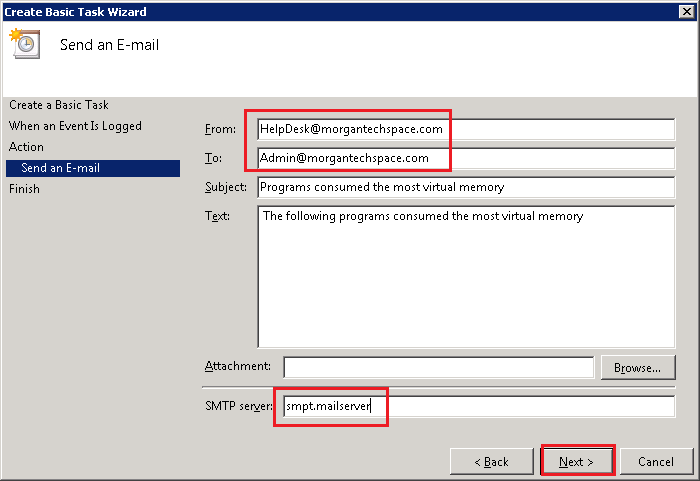 6.Go to Action -> Send an e-mail section, type the From and To Address and SMTP Server address for your Mail Server and click Next.